"Investigations are fascinating - the challenges change constantly"
"To lead very motivated and intelligent soldiers is very rewarding." As an Officer in the Royal Military Police (RMP) you are both a British Army Officer and a Police Officer. You command a highly skilled platoon of Military Police Soldiers and support the wider Army, going abroad on operations. Whether you’re overseas or at home, you’ll conduct complex investigations, using your outstanding training. Specialist courses in Serious Crime Investigations and Close Protection expand your knowledge, along with civilian qualifications. With new challenges every day, it’s a fascinating and varied role. Command a platoon of highly competent Military Police Soldiers. Deploy on operations, providing police support to the wider Army.. Undertake specialist courses such as the Serious Crime Investigations Course and the Close Protection Course. A constantly varied and rewarding role. First, you become an Officer at the prestigious Sandhurst Academy. This takes 44 weeks in total. Then, you go on the Military Police Officer’s Course at the Defence School of Policing and Guarding. Over 12 weeks, you get a detailed insight into police duties, investigations, evidence handling, military law and other key aspects of policing. This prepares you for your first posting as an RMP Platoon Commander. You can then take further training, including the Serious Crimes Investigations Course and the Close Protection Course. QUALIFICATIONS: 72 UCAS Points from at least two A-level passes and 35 ALIS points at GCSE (34 for SCEs) from seven GCSE/SCE subjects (including Grade C in English, Maths and a science or a foreign language). Age 18 years to 25 years and 11 months. However, you can enter the Royal Military Academy Sandhurst after the age of 26 and before the age of 29 in the AGC (RMP) as a Confirmed Cadet. All Officers have the opportunity to gain civilian qualifications as a result of their training in the RMP. You can get accreditation by doing the Serious Crime Investigation Course and the Close Protection Course. 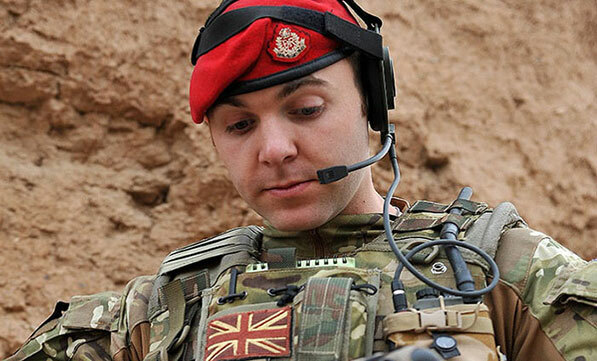 You’ll get paid a day rate according to your rank, starting from £66.54 once you have passed Army Officer Selection and rising to £79.98 per day once you’ve commissioned as a Second Lieutenant. This includes being paid for weekly drill nights. Plus, if you complete all of your annual training days, you’re entitled to a tax-free lump sum called a bounty. "My job is to command soldiers who conduct investigations both criminal and military conducted within the military itself. To lead very motivated and intelligent soldiers is very rewarding." All Army Reserve training is designed to fit in around your life and day job. You start with 12 weeks’ officer training at the Royal Military Academy Sandhurst. 35 ALIS points at GCSE (34 for SCEs) from 7 GCSE/SCE subjects (including Grade C/4 in English, Maths and a science or a foreign language). Ability to pass Advanced Police Disclosure checks.